Xiaomi has opened its first Mi Home in India this year only at Bangalore and till the date has opened several others Mi Home in the different city like – Gurugram, Mumbai, Hyderabad, Chennai etc but in their hometown, they are one step ahead as Xiaomi is opening Luxury Flagship Store in Shenzhen, China. 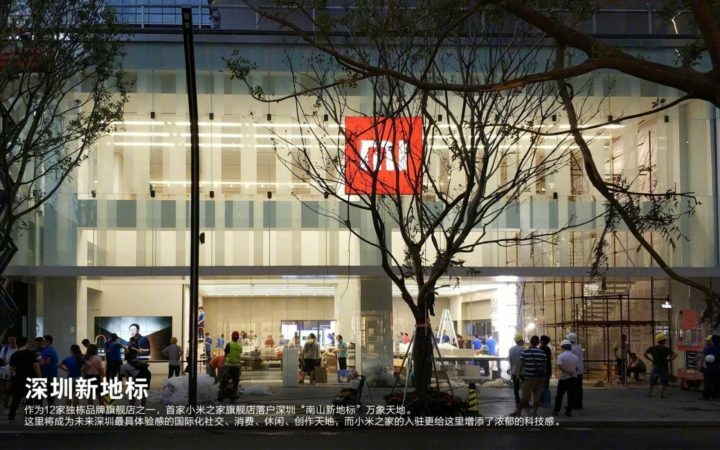 The Shenzhen Xiaomi outlet will become the most influential & international acclaimed destination for the Mi Fans. 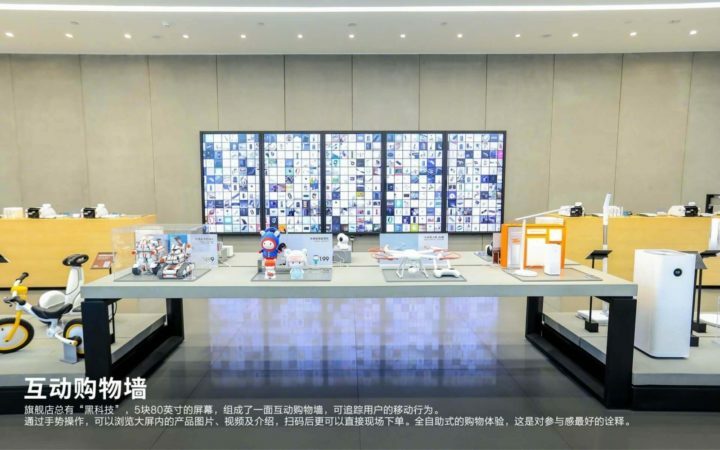 The Xiaomi Shenzhen store made in the area of 650 square meters, this store was designed by a globally renowned design team, Eight Inc. The Mi store consists of the white interior with a concrete finish for stability and strength with Big Glasses Inside and outside. Xiaomi Luxury Store consists of two floors, the first floor is dedicated for smartphones, TVs, smart hardware and the second floor focusses on smart home and lifestyle products. 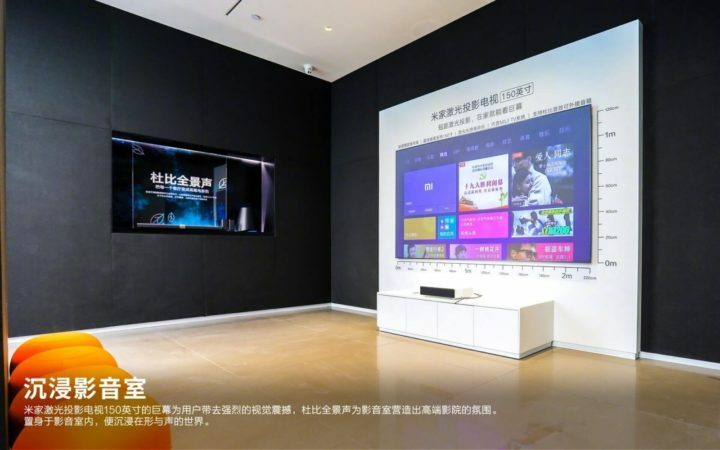 The Shenzhen luxury store has about five 80 inch screen TV that gives you the glimpse of interactive shopping wall where you can see the details and description of your favorite products. 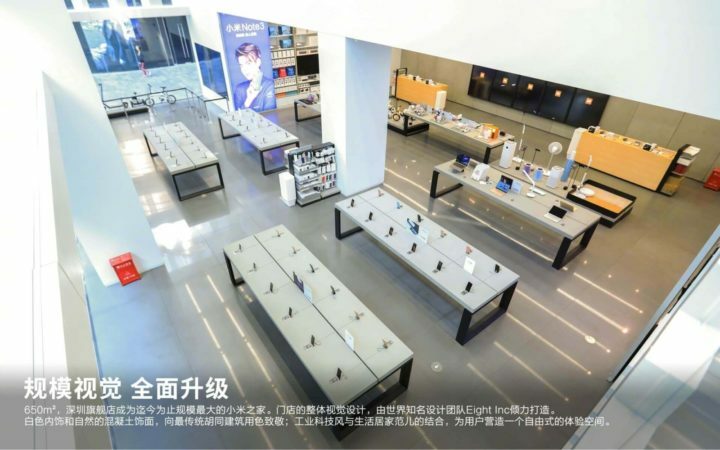 The Shenzhen outlet in China has all the entire chain of Xiaomi Brand from Mijia to Huami you get each and every product listed there on the luxury shelves. Xiaomi flagship luxury store will be opened for their fans on November 15 in Shenzhen, China. So when you are visiting Shenzhen?